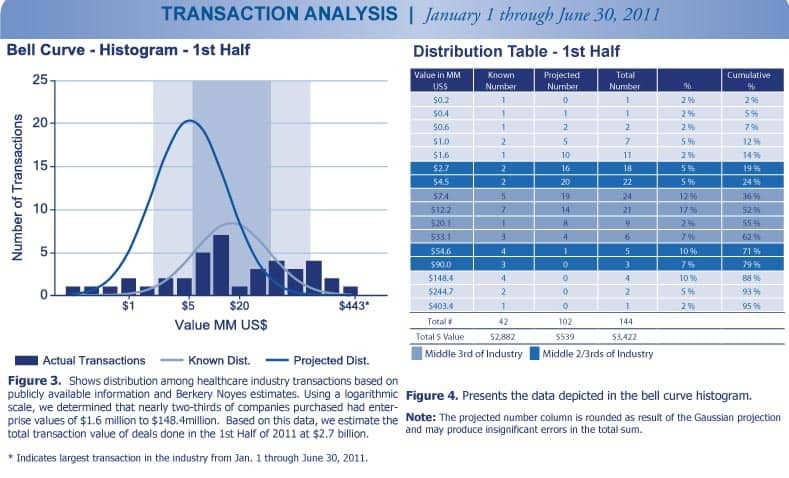 1st Half 2011 Healthcare Industry Trends - Berkery, Noyes & Co., LLC. 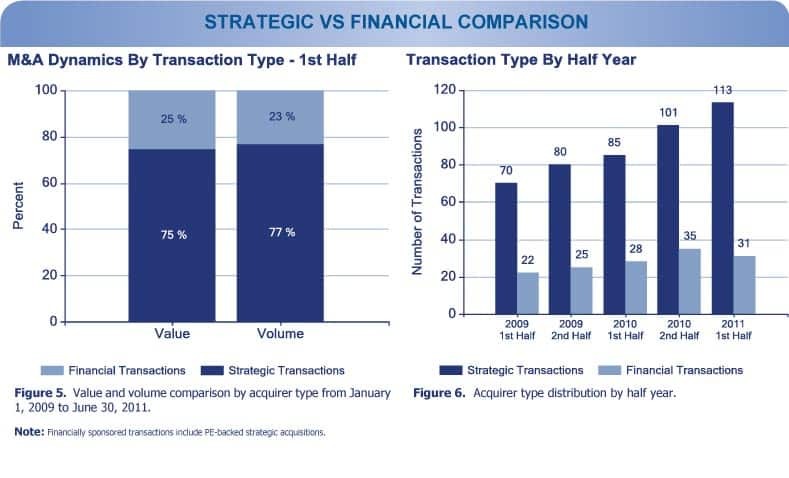 The largest transaction in 1st Half 2011 was Computer Sciences Corporation’s announced acquisition of iSoft Group Limited for $443 million. 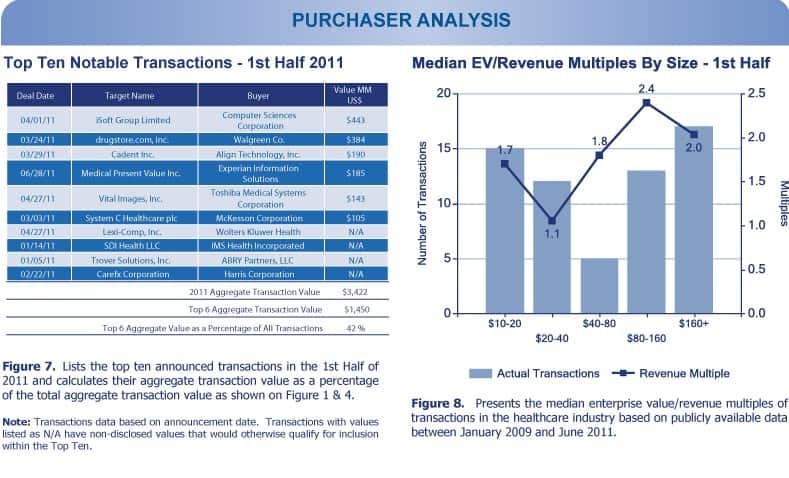 The segment with the largest disclosed median enterprise value multiples for 1st Half 2011 was Pharma Information with 4.3 times revenue. Reed Elsevier and LLR Partners both announced three transactions this half year, tying as the most acquisitive companies in the Pharma and Healthcare space. 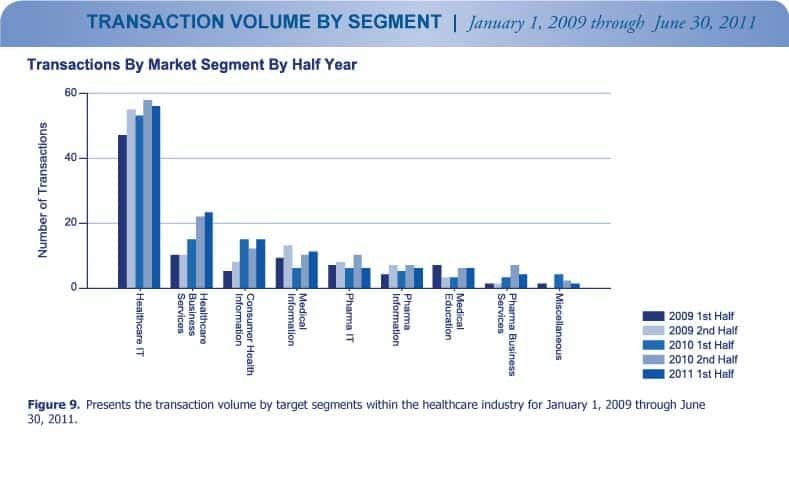 Total transaction volume in 1st Half 2011 increased by 6 percent over 2nd Half 2010, from 136 in 2nd Half 2010 to 144 in 1st Half 2011. 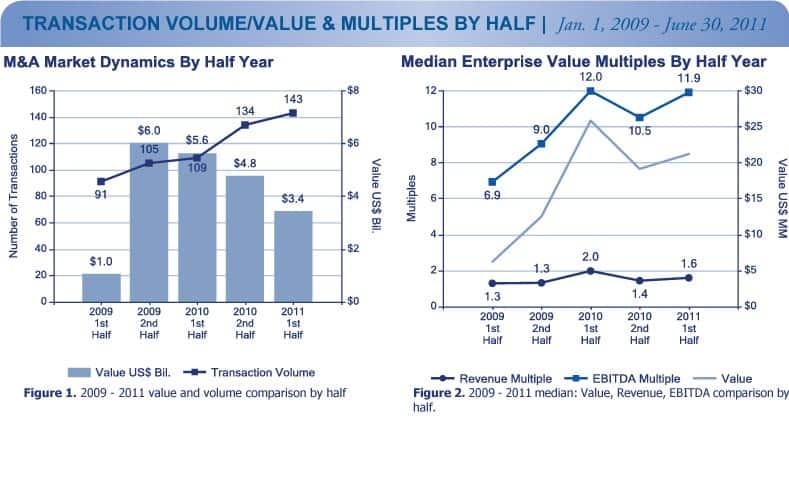 Total transaction value in 1st Half 2011 decreased by 28 percent over 2nd Half 2010, from $4.8 billion in 2nd Half 2010 to $3.4 billion this year. 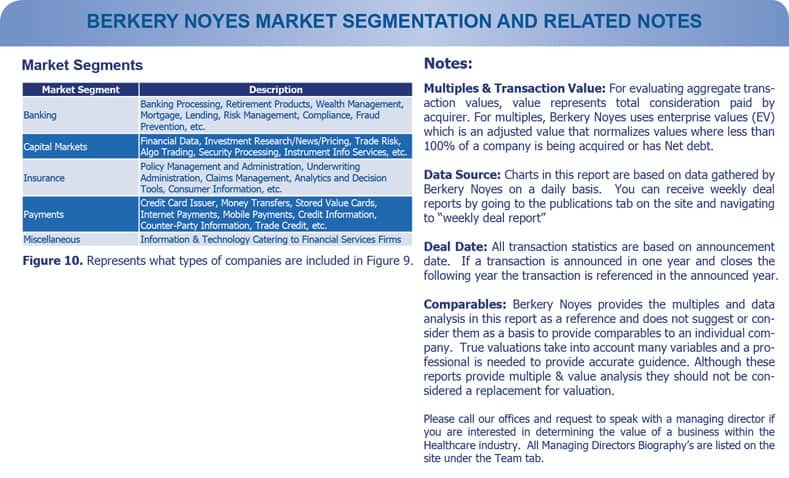 Berkery Noyes tracked 590 transactions between 2009 and 1st Half 2011, of which 192 disclosed financial terms, and calculated the aggregate transaction value to be $18.8 billion. Based on known transaction values, we project the value of the 398 undisclosed transactions to be $2.1 billion, totaling $21 billion worth of transactions tracked over the past two and a half years. UnitedHealth Group was the most active acquirer in the two and a half years covered in this report, making nine transactions: A-Life Medical, Inc., Axolotl Corporation, Executive Health Resources, Inc., Picis, Inc., ChinaGate, QualityMetric, Inc., Scriptswitch Limited, CareMedic Systems, Inc. and AIM Healthcare Services, Inc.
Out of 582 transactions tracked by Berkery Noyes between 2009 and First Half 2011 we found that the 141 financially sponsored transactions accounted for 24 percent of the total transactions, yet they totalled $8.9 billion, representing 41 percent of total aggregate transaction value over the past two and a half years.